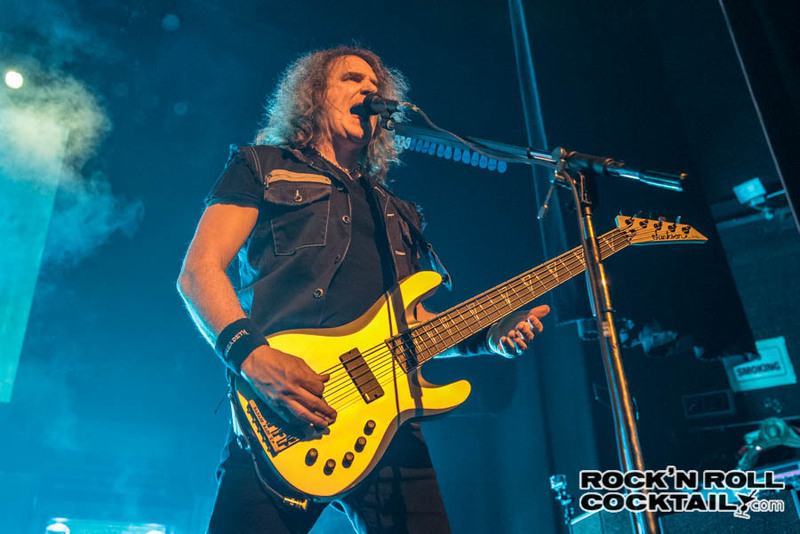 Megadeth just put every metal band on notice as they reclaim their rightful place as the world’s state of the art speed metal band with the release of their brilliant new album Dystopia. But this time around the band is trading in speed for technical ability and sheer metal mastery. Powerful messaging comes to life with a unique story told through brilliant songs and mega-heavy riffs. 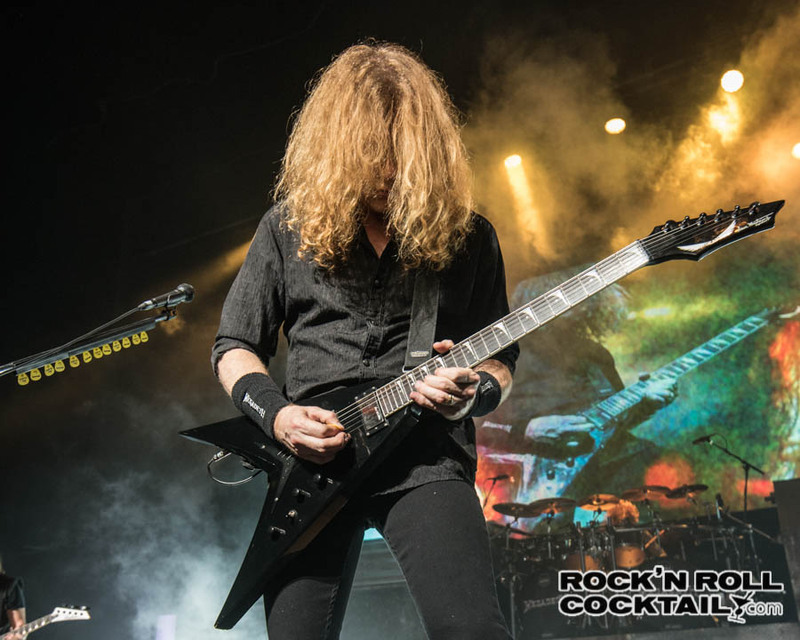 It’s an evolution and Dave Mustaine and company continue to boldly going where no metal band has been before. 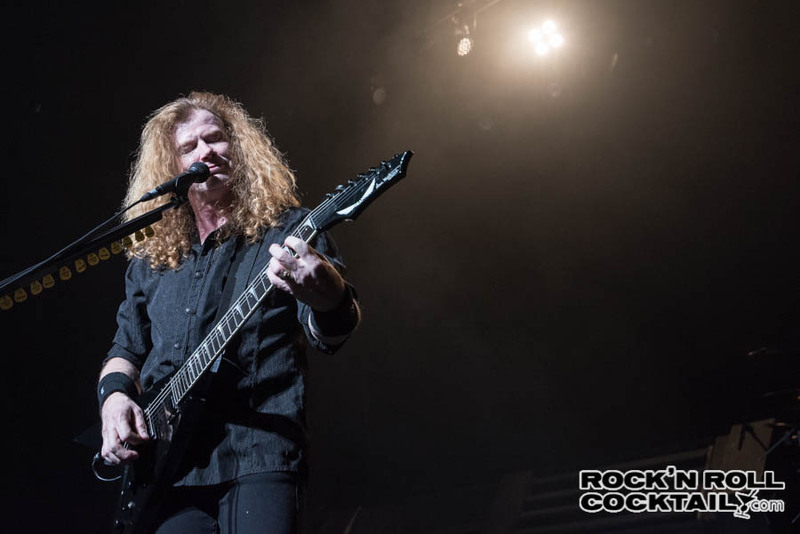 Megadeth have always been consistent with touring and releasing new music, it’s almost like clockwork, and very few bands with this type of legacy can say that. This time around it’s incredibly special. First, the band has created a modern metal masterpiece in the form of Dystopia. It’s arguably the band’s best record since Countdown to Extinction and could have been the buffer record between Rust in Peace and Countdown. It’s that f’n good. 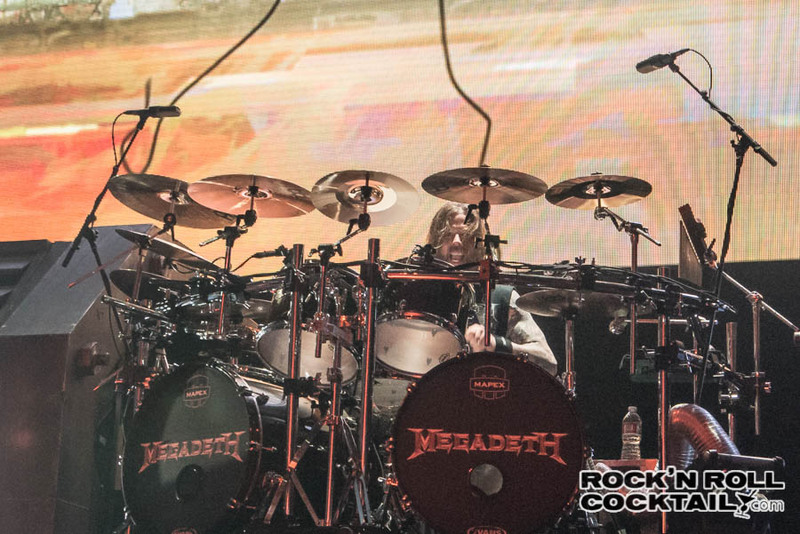 Secondly, founding members Mustaine and Ellefson welcome in two new cast members; a guitar virtuoso from Brazil named Kiko Loureiro and Lamb of God drummer Chris Adler. Couple these two events together and you have a once in a lifetime metal moment that cannot be missed. Fun fact: During a recent interview I did with Mustaine, he mentioned that the inspiration for the title to Countdown to Extinction came from Europe’s The Final Countdown which was released the same year as Peace Sells. If that weren’t enough, the band continues to push the boudaries of what’s possible using technology to connect with their fans. The special edition of Dystopia includes a virtual reality experience that will blow your mind. Using the included VR goggles, fans can enter a fully immersive 360-degree virtual concert. It’s the first of it’s kind as the viewer can move throughout the virtual world and with brand new sonic technology the sound moves with you. It’s pretty much the coolest virtual metal experience I’ve ever witnessed before, if not the first, and once you see it you really can’t imagine experiencing the band in any other way. Back to the show…..It’s really interesting to see a drummer with Adler’s skillset perfectly play through some insanely difficult time signatures and fills while at the same time lock in a perfect 4/4 time with a song like “Trust’. You would think that he might be bored with the songs simplicity, but instead it looks as if he’s having the time of his life as he probably never has the opportunity to lock in a simple groove and make it his own. The setlist that night was absolute perfection. A mix of classics, set staples and of course a few surprises along the way. While I would have preferred one or two more songs from the new album we did get blistering versions of the best three songs from the album; “Dystopia”, “Fatal Portrait”, and “The Threat is Real’. And the Warfield was packed to the gills for this show, completely oversold. Almost to the point, well not almost, absolutely to the point where there was nowhere to watch the show. I don’t think I’ve ever seen that venue jammed with so many people and I wouldn’t want to see it again. I love the Warfield, but when it’s that full, it’s a miserable experience trying to watch one of your favorite bands. 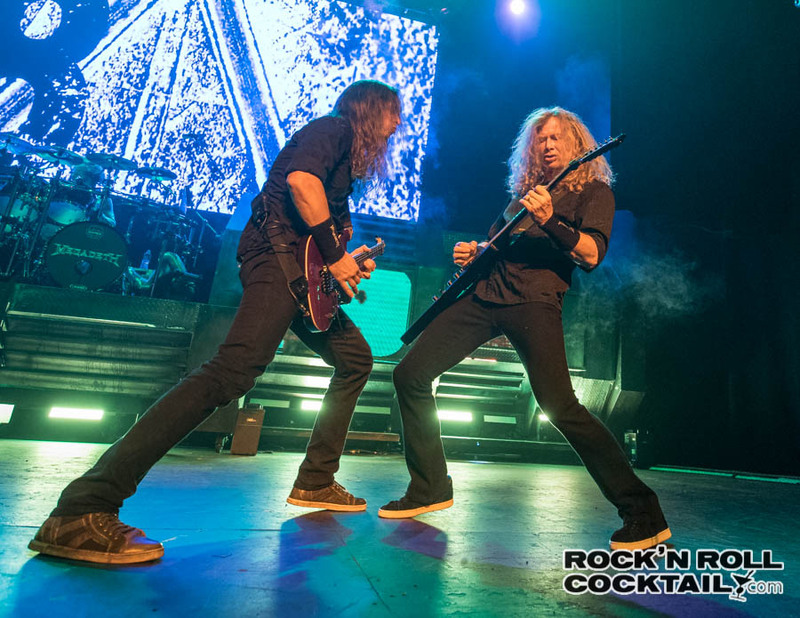 Clearly Megadeth has outgrown this space. Bottom line: One of the best metal bands on the planet return to their roots with a modern twist. 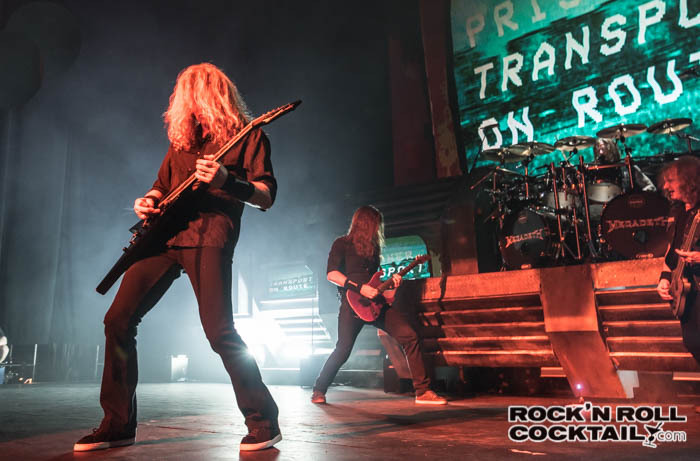 2016 is going to be the year of Megadeth, don’t miss this one folks. See more photos from the show in the gallery here. Have you seen the show? Thoughts on the new album Dystopia? Join the conversation in the comment section below.